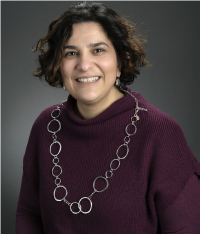 Dr. Amendola’s research focuses on both fundamental and applied research into materials degradation and durability in extreme environments for energy, power, and propulsion. Current research interests include oxidation and corrosion of metallic alloys, high temperature protective coating development and high temperature corrosive gases and water vapor interactions with metals and ceramics. I am involved in supporting undergraduate and graduate research opportunities in Mechanical Engineering at Montana State University. I have mentored high school student participating in the Montana Apprenticeship Program (MAP) sponsored by MSU’s American Indian Research Opportunities (AIRO) office. I actively support undergraduate research in Mechanical and Chemical Engineering through the Undergraduate Scholar Program (USP) sponsored by MSU.